The U.S. oil major’s $33 bln offer for Permian powerhouse Anadarko may spark similar moves by rivals. The region’s independent players face challenges and are priced accordingly. Were Shell to play M&A catch-up, though, it would risk cramping its climate change-conscious style. A Chevron gas station sign is seen in Cardiff, California, U.S. January 25, 2016. Shares in Anadarko Petroleum were trading at $62.56 at 2:15 p.m. EDT on April 15, up 1.3 percent. That still left them below the $65 a share offered by Chevron in an agreed cash-and-shares bid announced on April 12. 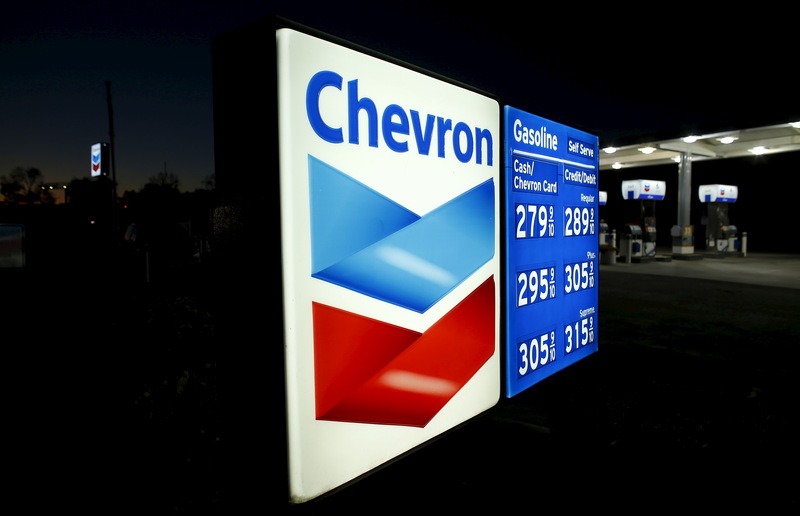 Chevron shares were trading at $120.40 on April 15, up 0.5 percent. Shares in U.S. independent oil and gas producers Devon Energy and Pioneer Natural Resources rose by some 7 percent and 11 percent respectively on April 12.